@FoxintheBox - Please move your slot 6 "want" (3g spriter's alt kin) into slot 2 (you can ask for more than one thing per slot), and pick something else for slot 6! (Anything requested in slot 6 must not be something that should be in one of the more valuable, difficult to obtain slots.) Please resubmit your form in a new post, and remind us to add you as a replacement santa and helper! 1. Neglected, 2G Prize, 2G from Spriter's Alt. 2. 3G Thuwed, CB Copper. 3. CB Aeon, CB Xenowyrm (except Pyro), Dino always are ok.
4. 2G Avatar (it if possible - GoN x Ember/Gold Wyvern/Indigo Lunar Herald). 5. 2G Hybrid (espiecially Dusk Pygmy, Storm-rider, Soulpeace). 6. 3G checker will be nice. Breeding abilities: I have everything CB dragons (one pair minimum, Halloween, Christmas, Valentines), except CB Prize, female Holly and Vampire 2008. I have four 2G Shimmer-scale and much more with long-line (Tinsel have too). Three 3G Thuwed, a few 3G and 4G from SA. Catching abilities: I can't catch CB Silver/Gold. CB Copper... not enough lucky. All the rest? I think... I can, but Paper, Cheese or Chicken are quite randomly. I don't know how with Xenowyrm/Zyu. Trading abilities: I can try trade 3G Prize oraz 2G Gold for a 3G SA/CB Zyus/CB Xenos/other CB,, but... I can not promise anything. Teleport abilities: No, thanks I have 8 Magis. I want to be a Replacement Santa! Trading abilities: I can try trade 3G Prize oraz 2G Gold for a 3G SA/CB Zyus/CB Xenos/other CB, but... I can not promise anything. Breeding abilities: Have most CBs (no prizes). Only spriter's alt lineage I can breed is 3G mistletoe x kingcrowne checker with one of Tiki's alts in base. Have CB silvers to breed and 1 CB F gold to breed. Have a somewhat messy Magi egg, will be a hatchling when I deliver it, anyone who needs teleports for the event, PM me. I'll give it to the first person to ask. 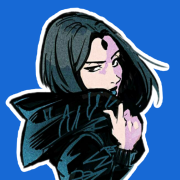 Edit: I have two Magi hatchlings now, for anyone that needs one. Breeding abilities: Have 2nd gen Prizes, CB metals, 2nd gen Thuwed/Spriter's Alt lineages, all CB holidays. Catching abilities: Catching metallics is too unpredictable, but other things (Xenos, unbreedables, whatever) shouldn't be a problem. Trading abilities: Could trade for Prizekins or alts. Teleport abilities: Got tonnes of these. Forum Name: Please include a link to your profile. Scroll Name: Please include a link to your scroll. Yay Christmas! I started buying decorations today. Someone stop me putting them up for at least the next three weeks. I want to be a Helper! Short question, if I manage to catch a few nice things which would be helpful in the gifting, should I also fill the "Change" formular, the wishlist would remain as it ist. Yes, ANY changes you would like to make should be made using the "change" form, and in a new post. Also, congratulations on getting some nice things! lol Our entire apartment is already Christmas-ified, complete with a (fake) tree. My mom did it all. Stairstep-ish? I tried breeding a 2nd-gen for the thread and that didn't work out. We have some nice things to give away! Pop a dummy egg in the link, and we'll randomly select one of them around DC midnight tonight. 2g silver from blusang! - Gone to a brand new home! 3g shimmer from desipis! - Also gone! 3g purebred Gold! - All gone! 6. Surprise me, what's your favorite lineage you can breed? Breeding abilities: I can breed anything from Slot 2 or below excluding any generation Prizes or 3G Thuweds. Catching abilities: I can catch anything from Slot 2 or below. Trading abilities: I can reliably trade for anything Slot 2 or below, and can occasionally trade for CB Golds or Silvers. I am starting off by trying to manage my time and ability to commit. I will also to make sure to help promote and share and am so happy to see all the awesome people help running this event, especially since it was originally created and supported over the years by such awesome and some of my most favoritest forever people! 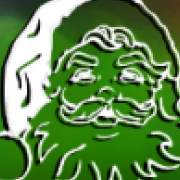 I may throw in more later, but this is this for now, and feel free to keep updates on this thread, Much Love for Santa and Their Secrets and this Awesome Event each Season! Catching abilities: Usually More Common Uncommons and easier, but I also Like to Look for Codes (including Z'Codes) in Biomes & AP. I don't have tons of time to hunt, but if I know what people are looking for, I will keep an eye on the lists and I am happy to list post/donate here for others to use as gifts and/or trade fodder and/or Prizes for Win for Participation. Pop a dummy egg in the teleport, and a winner will be randomly chosen after 7AM DC time. 3g gold shimmer x brown copper! - gone! 3g silver shimmer x silver lunars! - gone! Pop a dummy egg in the teleport, and a winner will be randomly chosen after 10am DC tim﻿e. 3g copper checker from shadow walker spriter's alt! - gone! 3g bronze tinsel from sinos! - gone! I Want﻿﻿﻿ to Sign Up! 2. 2G alt black/Undine, 3G Spriter’s alt, 3G thuwed. 7. Red dragon, guardian with pretty lineage, pink dragon (not bright pink) or your favourite dragon lineage. Can breed 2G prizes/prizekin from Male bronze tinsel and female silver shimmer, and 2G silver from Male and female silver, 2G gold from Male gold. Can catch uncommons, trios can sometimes be caught. Pop a dummy egg in the teleport, and a winner will be randomly chosen after 6pm DC tim﻿e. 2g silver x sweetling! - gone! 3g silver shimmer x magma! - gone! I have a magi hatchling available! First dibs to one of the people who posted that they needed teleports, but if I don't hear from one of them, it can be up for grabs. Pop a dummy egg in here! Breeding abilities: I can breed 3rd Gen. Prizes from Silver Tinsel (2) and Bronze Schimmer (1) (no checkers) and 4th Gen. Prizes from those. I have a pair of cb copper of each color a cb male gold and some cb holidays (these) whom can breed. These are all cb rares I have and these all cb. Catching abilities: I can get most uncommons though no rares. I can get neither aeons nor zyos. Trading abilities: I can get most uncommons and depending on breeding luck a rare, though no metalls. Teleport abilities: I've got enough magis. Breeding abilities: I can make Neglecteds. I can breed some 3G prize stairs. I have a lot of checkers with holidays, metals, some prize and some common/uncommon. I have all CB holidays, CB metals and other rare CBs. Catching abilities: I can usually catch anything but not gold, silver or copper. I would be okay with trios, most xeno and zyu, and below. I'm also not great at catching unbreedables. Trading abilities: I can also use Neglecteds to trade for CB metals and 2G prize or prizekin. I prefer to trade for things I couldn't otherwise catch or breed. Teleport abilities: I have plenty, thank you. 7. CB Nebula, CB Honey, or Suprise me! Breeding abilities: Most things, especially 2nd gen and some 3rd gen alt lineages, 2nd gen and some 3rd gen holidaykin lineages, some pretty non-holiday 3rd gen checkers, 2nd gen metals, 3rd gen PB metals, 2nd gen prize and above, 2nd gen prizekins, also have a decently large seasonal selection for specific lineages PB and alternating seasons. Teleport abilities: No thank you. Breeding abilities: I have multiples of Halloween dragons except for Omens, I have Arsani and Radiant Angel for Valentine dragons, and Christmas dragons from 2013-2015. I can provide 2nd gen silvers or golds (only one of each if it is PB), 2nd gen Avatars, hybrids, trios, and prizes starting with 4th generation. I can make checkers for most dragons except golds and silvers, my most successful checkers being hybrids (more specifically Hellhorse and Soulpeace). Catching abilities: Out of the rares, the ones I catch most often/reliably are Thunders and Golden Wyvern. I cannot catch CB metals. I catch uncommons most of the time, mostly Spirits Wards or BSA eggs. I can reliably catch Seasonals, Lacula, Razorcrests, Royal Blues, Pyrovars, Luminas, Leodons, and Aether Wyverns. Trading abilities: My trading abilities aren’t always reliable, more luck. I could trade for 5th-8th generation prizes if necessary. I can also get Nexus dragons, Celestials, and BSA dragons. Teleport abilities: I think I’m ok, thank you. We've had several very nice people donate eggs for our giveaways - you're awesome! However, we may or may not be able to gift/raffle them in a timely manner, due to our schedules and our scrollspace. 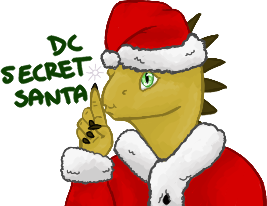 You all are therefore welcome to give gifts on this thread, as friends of Santa! Please bear in mind our rule that gifting during the signup period (through Dec.21) is open to all users, not just those who have signed up for Secret Santa. Other than that, feel free to gift in this thread using two-way links (if you would like to see where your gift goes, or would like to wait a specific time period before choosing) or one-way links (if you'd prefer a quicker gifting experience). Thank you for being a part of Secret Santa this year, and have a great day!